Toshiba repurposed furniture, IT equipment, lighting and even carpeting at the company's new location in Guadalajara, Mexico, demonstrating its continued commitment to maintaining a more sustainable planet. Guadalajara, Jalisco, Mexico - Toshiba Global Commerce Solutions and Toshiba America Business Solutions celebrated the opening of their collective 38,000 square-foot building in Guadalajara on Monday with a ribbon-cutting attended by government officials, representatives of academic institutions, media and clients. Toshiba has invested 2-million USD to further modernize the company's products and solutions development center. The move signals Toshiba's increasing presence in Mexico's technology hub. Jalisco Economic Development Secretary, José Palacios Jiménez; Head of the Investment Promotion Unit of the Municipality of Zapopan, Alfredo Aceves Fernández; Consul-General of the Consulate-General of Japan, Osamu Hokida; joined Toshiba's President and Chief Executive Officer, Scott Maccabe; Chief Operating Officer Gregg Margosian; Senior Vice President of Research and Development Mike Yeung as well as Vice President of Human Resources, and Administration James Fornabaio at the ribbon-cutting. The event also featured Toshiba clients Grupo Alsea, Costco and Kidzania. "We were pleased to be joined by so many esteemed people today," Maccabe stated. "Toshiba's expansion in Mexico is a central element of our global growth strategy. Toshiba's expert team in Guadalajara produces the products and services we offer worldwide and is instrumental to our company's success." "The investments in the state of Jalisco have multiplied importantly," said Palacios Jiménez. 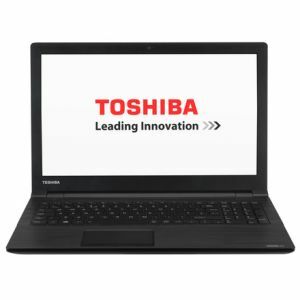 "Toshiba is a Japanese company that has demonstrated its trust in the state, which is an honor. The state of Jalisco has received 11,500 million dollars in foreign direct investment, a historic data. It's precisely because of the trust of companies in Jalisco. In 2017 Jalisco generated the largest number of employment of any state in the country, also a historic number, 93,000 jobs. Everything is for you, we must only facilitate your investment experience," he added. "Toshiba is a company that has reiterated its commitment to Mexico by generating jobs and training its people, as well as committing to the care of the environment," Hokida stated. "I am convinced that this extension will be of great benefit for the Bajío region. I would like to reiterate the gratitude to the Mexican government for its support of Japanese companies. Currently there are 633 Japanese persons living in the state of Jalisco. I would like to point out that feel great here thanks to the warmth of the people." 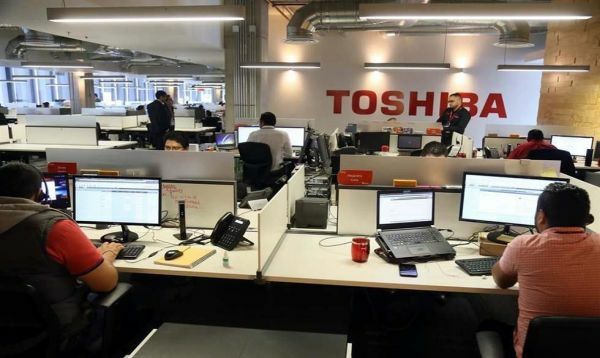 Toshiba Mexico has increased its staff from 48 to 298 employees since beginning operations in the country in 2006. Toshiba's Guadalajara operation has also undergone significant growth by expanding from 36 to 164 employees since that time. Toshiba repurposed furniture, IT equipment, lighting and even carpeting at the company's new location demonstrating its commitment to maintaining a more sustainable planet.